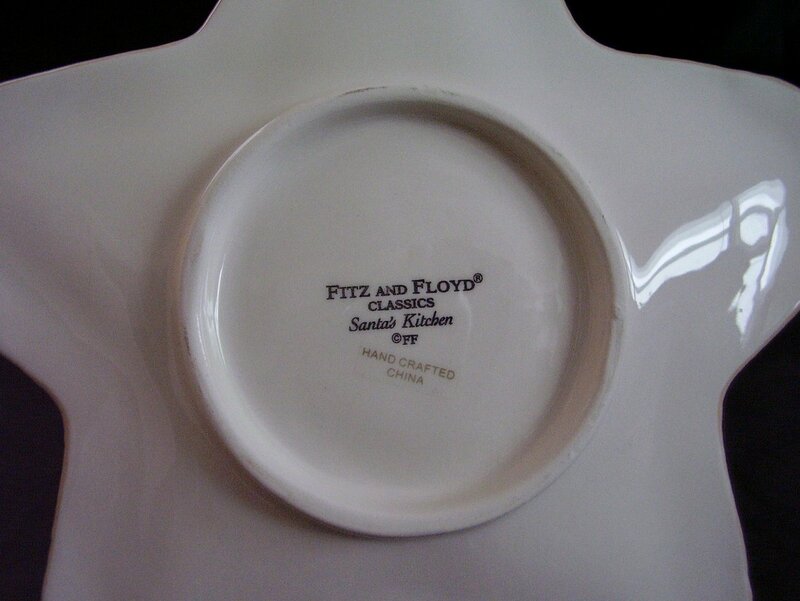 Fitz and Floyd Santa Kitchen snack plate. 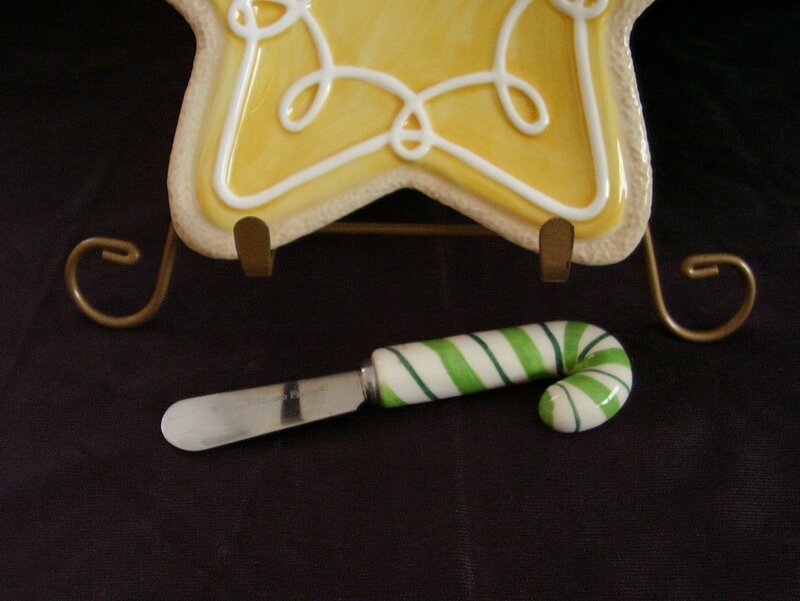 This handpainted yellow star, looks like a decorated Christmas cookie, plate is in its original box and includes a green and white candy cane spreader. The plate measures 7 inches x 7 inches and the spreader about 5 1/8 inches long. 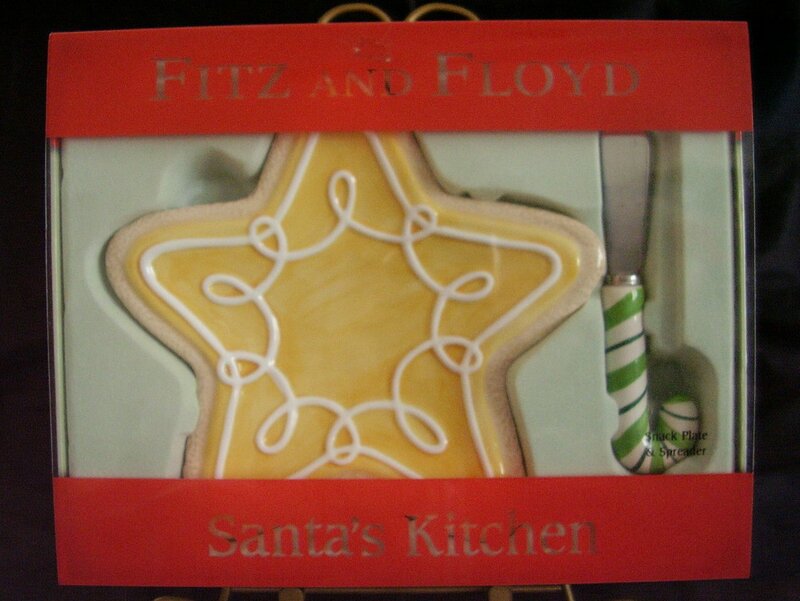 Fitz and Floyd Santa Kitchen snack plate. 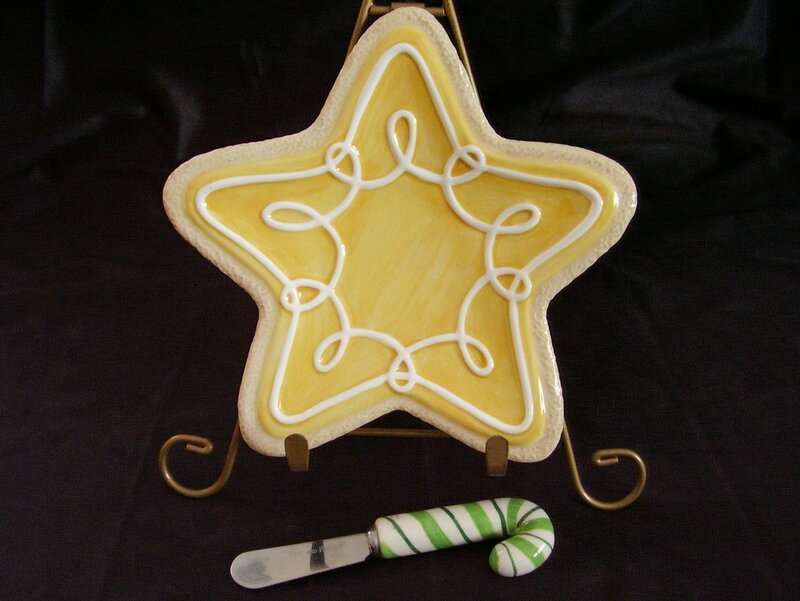 This handpainted yellow star, looks like a decorated Christmas cookie, plate is in its original box and includes a green and white candy cane spreader. The plate measures 7 inches x 7 inches and the spreader about 5 1/8 inches long. Could be used for snacks, canapes, cookies and cheeses. In very good condition and appears never used.